The beginnings of the International Year of Light! What an honour to write the first International Year of Light (IYL2015) blog post of 2015! The next twelve months will see a tremendous global effort to promote light science and applications through thousands of activities reaching millions of people. Much of what will take place will revolve around the themes that you can read about on this blog and on light2015.org, but I am also looking forward to the unexpected – discovering new and unexpected areas where light science and technology can address critical challenges for our future. As enthusiasm develops and plans are being made, I am increasingly being asked where the idea of IYL2015 came from, and how a bottom-up proposal from the scientific community actually made it onto the agenda of the United Nations (UN) General Assembly! These are excellent questions, and this first blog of 2015 is an ideal place to describe how it all started. The story begins in 2009 when I proposed the idea for an International Year of Light whilst representing the Quantum Electronics and Optics Division (QEOD) of the European Physical Society (EPS) at a meeting between a number of different scientific societies in Baltimore. This meeting was between the members of the International Council of Quantum Electronics, and a particular item we discussed was how to follow up activities planned for 2010 to celebrate the 50th anniversary of the laser (LaserFest) with something even more ambitious. I felt that we had a real opportunity to reach out beyond the scientific community to raise much broader awareness of the problem-solving potential of light-based science in so many areas of life, and to make a global effort to influence education and policy in both developed and developing countries. Now, as is often the case in a meeting, if one makes a suggestion to do something, then one has to take the responsibility to actually find out how to do it! Thus began the adventure towards IYL2015. International Years are part of the UN system of “observances” that promote awareness of issues relevant to its aims and international programmes. My first step to learn about all this was to meet with the EPS past-president Martial Ducloy who organized the 2005 International Year of Physics. He explained how – for international years on science-related topics – it was customary to work through UNESCO to prepare and submit a resolution to the UN General Assembly. With endorsement from the EPS Executive Board, QEOD worked hard during 2010 to build a consortium amongst the major optics and physics societies to approach UNESCO, and in 2011, the EPS President Luisa Cifarelli brought her tremendous personal support to the initiative. Over the 2011 summer “vacation,” together we drafted the prospectus and decided on 2015 as the target year based on several key scientific anniversaries. Sandro Bettini (Italy), Ari Friberg (Finland) and Alan Shore (Wales) also made many valuable comments. September 2011 saw the Passion for Light launch meeting for IYL2015 organized by the Italian Physical Society and EPS in Varenna where representatives of UNESCO and the International Centre for Theoretical Physics (UNESCO-ICTP) were present, both to learn more about our plans and to show their support. With the help of the Institute of Physics (especially Sir Peter Knight who was the president at the time), EPS led a delegation to the IUPAP General Assembly in London during November 2011 to obtain endorsement from IUPAP, providing an important green light recognizing the international nature of the proposal. There were many partners now involved: in addition to EPS and its own European member societies, the IYL team included the African Physical Society, the American Physical Society, the Association of Asia Pacific Physical Societies, the Chinese Optical and Physical Societies, the European Optical Society, the International Commission for Optics (ICO), the IEEE Photonics Society, the Optical Society (OSA), the international society for optics and photonics (SPIE), as well as many other partners and societies from Africa, Australia, Canada, the Middle East, New Zealand, South America and elsewhere. From March 2012 things moved quickly. I was invited by the Director of UNESCO’s International Basic Science Programme Dr Maciej Nalecz to UNESCO HQ in Paris, and his guidance was absolutely invaluable in accompanying the scientific community to assemble a consortium of supporting UNESCO member states. Much help was needed from a number of international partners at this stage, and it is essential here to acknowledge Francis Allotey (Ghana) and Ana Maria Cetto (Mexico) for their leading roles. Other important help was provided by Zsolt Fulop (Hungary), John Harvey and Geoff Austin (New Zealand), Zohra Ben Lakhdar and Mourad Zghal (Tunisia), Joe Niemela (UNESCO-ICTP), Lluis Torner (Spain) and Sergei Bagaev and Victor Zadkov (Russia). A resolution supporting IYL2015 was prepared and was adopted by the UNESCO Executive Board in 2012. This opened the gate to approach the UN General Assembly. A meeting amongst the international stakeholders in early 2013 proposed ICTP as the global coordination secretariat, and with more help from UNESCO, we were invited by Mexico to defend the proposal in New York at an information meeting held at UN Headquarters in May 2013. Ana Maria Cetto and I had the great honour to lead a delegation that also included representatives of the African Physical Society (Yanne Chembo), ICTP and OSA (Anthony Johnson) and SPIE (H. Philip Stahl). The local support in New York that was provided by Ana Persic from UNESCO, Monique Rodriguez and Liz Rogan from OSA, Tony Heinz from Columbia and Bob Alfano from CUNY allowed us to prepare under the best possible conditions. 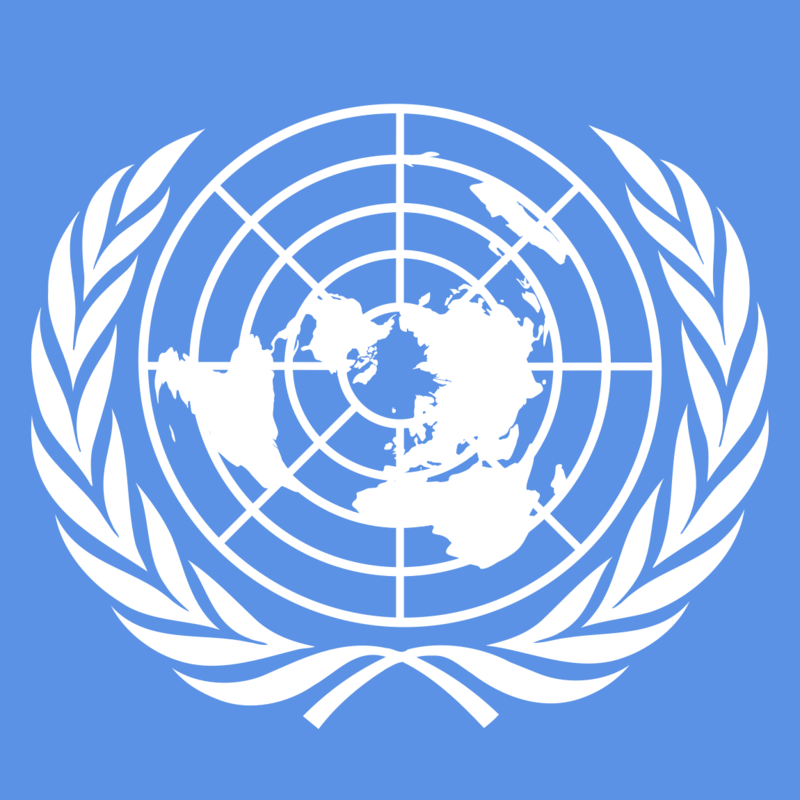 After the May 2013 meeting, Mexico led the political process to draft a resolution for the 68th Session of the UN General Assembly which would begin in September 2013. The months from June to December 2013 were busy and very tense, as we really did need the declaration to be made before the end of 2013 in order to have a full 12 months to prepare. A lot of questions needed to be addressed and additional documentation prepared. I have to extend my most sincere personal thanks at this point to Ana María Cetto (again! ), Eugene Arthurs (SPIE’s CEO) and Krisinda Plenkovich (SPIE’s Education and Community Service Director) for their continual support and enthusiasm without which things would never have run as smoothly as they (in the end!) did. After one more final endorsement by UNESCO at their 2013 General Conference, the resolution A/RES/68/221 proclaiming the IYL 2015 was adopted during a plenary meeting of the 68th Session of the UN General Assembly on 20 December 2013. 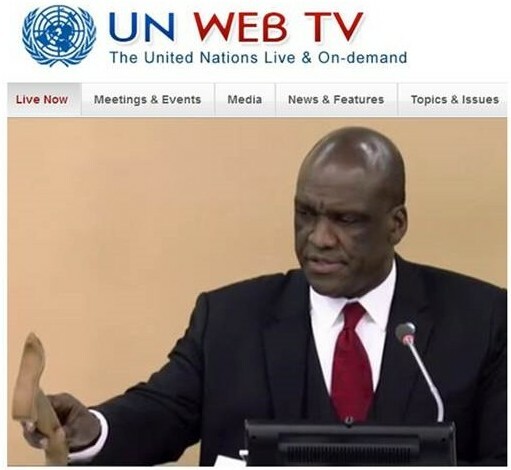 I watched the moment live while travelling on a TGV, streaming live video from the UN website via my cellphone wifi to my laptop and marveling at the power of light-based technologies to connect the world. Early on in the process, I heard it often remarked that obtaining UNESCO and UN support for an International Year was “just a formality”. But nothing could be further from the truth. Getting such high-level support on a political level required extremely hard work by many people, and the development of arguments defending the proposal on all levels: from science to society to the economy to sustainable development and more. It has been a four and a half year journey from the initial idea to the start of the International Year of Light, but we are now extremely well prepared to ensure that 2015 will be a great success. We only get one chance at this unique opportunity, so let’s work together and make sure it counts! John Dudley (@johnmdudley) is Chair of the International Year of Light Steering Committee and President of the European Physical Society. John was educated in New Zealand but has been Professor of Physics at the l’Université de Franche-Comté-CNRS Institut FEMTO-ST in France since 2000. 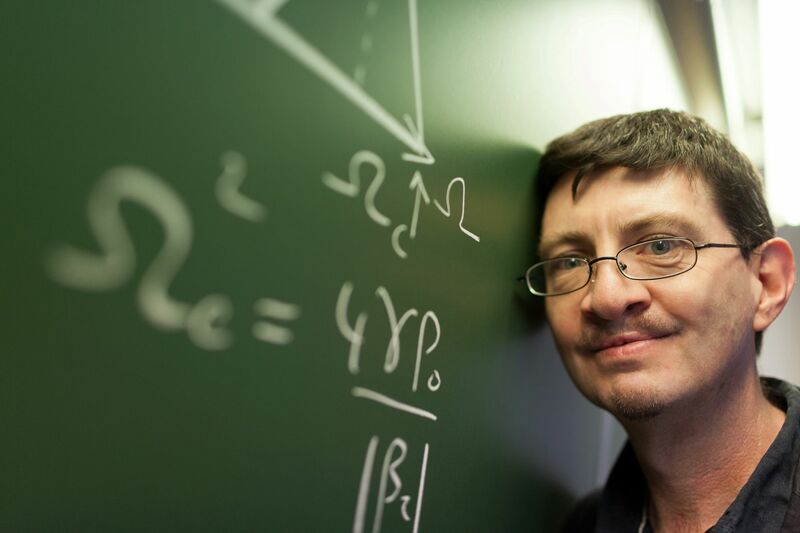 His research interests cover broad themes in nonlinear and ultrafast optics, and he is currently co-laureate of a European Research Council Advanced Grant to study extreme wave physics. He has always considered education an important part of his career and has worked on popularizing the early history of the law of refraction, and collaborated with Ralph Leighton on the international dissemination of the original Feynman lectures on Quantum Electrodynamics delivered in New Zealand in 1979. He participates actively in a number of different scientific societies, and is a Fellow of the European Optical Society, the IEEE and the OSA. He has been President of EPS since April 2013 and will serve in this capacity until March 2015. Oggi, 1° Gennaio 2015, inizia l’Anno Internazionale della Luce di cui riporto il primo post dal blog dedicato all’evento, scritto da John Dudley presidente dell’International Year of Light Steering Committee e dell’European Physical Society. We The Green cultural &Environmental conservation group , sotik borabu peace iniative group , Nyansiongo green environmental initiative group will wish to join IYL .Nyamira , bomet, kericho, migori, homabay , and kisii counties.